Why Choose the "Storybook Album" Package? This package offers all of the components of the "San Francisco" Package plus you receive a beautiful custom made flush mount Wedding Album by Epoca. This book is a top quality professional wedding album imported from Italy. It's made with high quality archival materials to ensure long lasting memories. You receive a 24 page hard-backed book up to 8X11 inches in size (approximately 40 photos). You choose your favorite images and we do the design, it's that simple! Also included is an 11X14 mounted Wall Portrait. 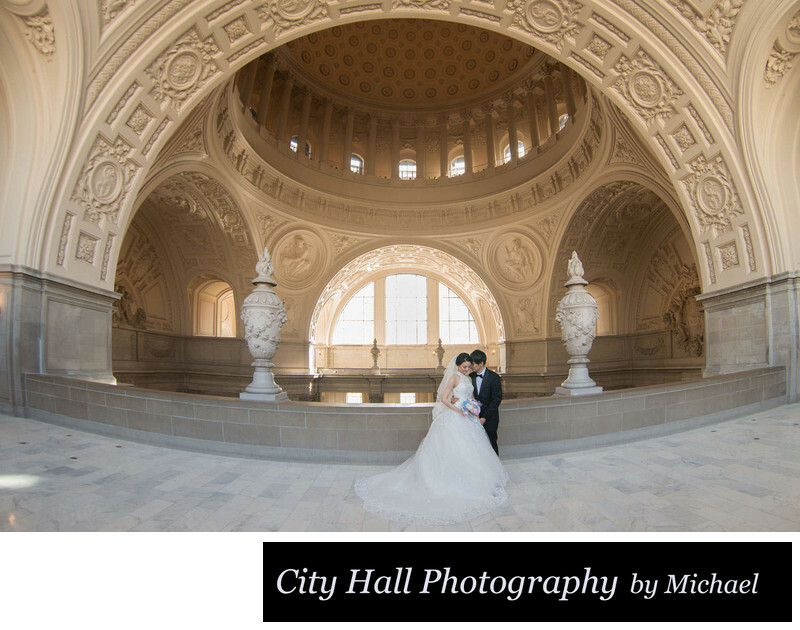 We highly recommend putting your precious city hall wedding photos in an album even if you do it yourself. Image files placed on a hard drive rarely are seen, make sure that your memories can be shared with your friends and family. Click on the link above to see more details on this beautiful album. The Storybook Album package provides you with 4+ hours of wedding coverage and 3 additional photo locations as time allows. This "San Francisco Photo Tour" includes transportation provided by us if needed. 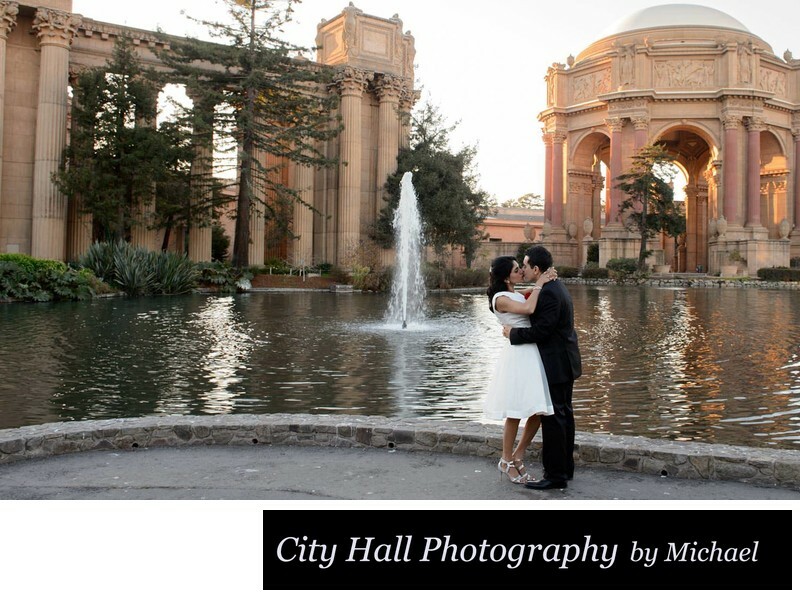 All of the other components of the Golden Gate / City Hall packages are still included before we leave for our romantic photo tour of San Francisco. This means that you still will receive images representing the best that San Francisco city hall has to offer. The beautiful light, the architecture and elegance that everyone loves about this historic building all included. We will take you to the locations of your choice throughout the City including destinations such as The Palace of Fine Arts, the Legion of Honor, Coit Tower and Fort Point to name just a few. All packages come with full reproduction rights of the full resolution digital images and a convenient viewing site which allows you to share your images with others. This means that you have the ability to post your wedding photos on Social Media or make your own prints. Your image files can be received by Dropbox or Direct Download from your viewing website. Return to the San Francisco City Hall Home page.